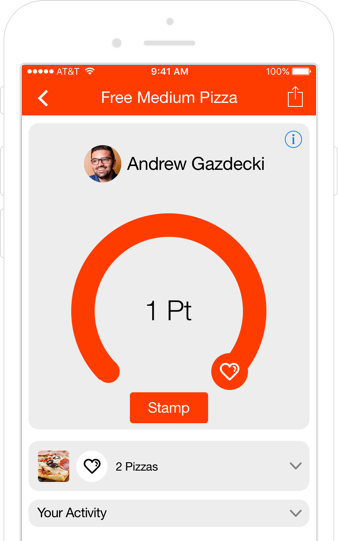 Ditch the old stamp cards and offer rewards through your mobile app. Increase customer engagement and repeat business with a customizable loyalty program, adding points to your customer’s virtual stamp card for every visit. Create apps without writing a line of code. 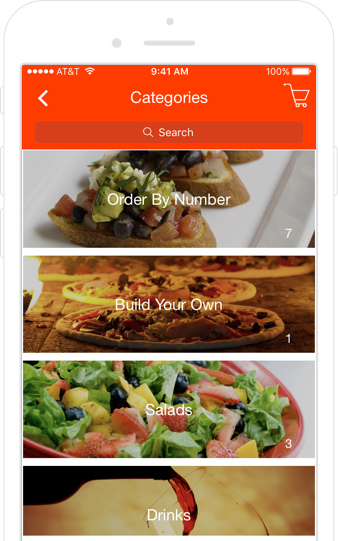 Get access to our app builder and start creating an app for your restaurant. Our do it yourself app builder will allow you to add the features that will help your business grow. Get started building your mobile presence today! Our out-of-the-box solution is priced to be accessible to local restaurants, so they can compete with big brands. We’ve made this possible by leveraging a robust platform built by a our development team, allowing us to quickly build a best in class solution in days versus months. "My favorite part about Bizness Apps is how easy it is to use. It's really easy to pitch; a great product. I made my first sale in just one month." Don’t let your customers go hungry. Place ordering power in their hands with our mobile ordering feature. Accept multiple orders and payments at once without tying up your phone lines, and never mishear another order again… did they say “vegan” or “bacon"? 72% of online searches for restaurants come from mobile devices. Enhance this mobile experience to foster loyalty and increase brand engagement. Reach your customers where they are; on their mobile device. "Mobile apps can improve employee labor costs through mobile ordering, while increasing sales through direct food sales when customers order with an app." Don’t let your customers go hungry. Place ordering power in their hands with our native mobile ordering feature. Accept multiple orders and payments at once without tying up your phone lines, and never mishear another order again… did they say “vegan” or “bacon"? From design to marketing, we build a solution that fits your business. We will assist you in creating an exceptional mobile experience. BizApps is one of the top app publishers in the world with over 60,000 apps published in the Google Play and Apple App Store.